Temecula, CA — Quail’s chances of sneaking into the playoffs for the first time in clubs history were given a boost by a 1-1 draw against undefeated FC Arizona on Saturday, in a match which saw the Quails send a message to the football community of just how good this years squad is. There is no doubt this is the best footballer ever being played by the Quails. Nathan DaRosa was the first half hero with a great goal after a stunning move assisted by Sergio Lopez to give the Quails the lead. Temecula’s Byron Rivera saw his early chance beat the GK but only to rebound off the post. At that point a 2-0 lead would have seen the game off but it was not to be as FC Arizona showed they did not travel 6 hours to roll over and did hit back after converting a penalty kick just 10 minutes later. FC Arizona defenders had their hands full with Quails forwards Bryan Orta and Nathan DaRosa who were both finding space between the lines and combining to get in behind the Arizona defense. 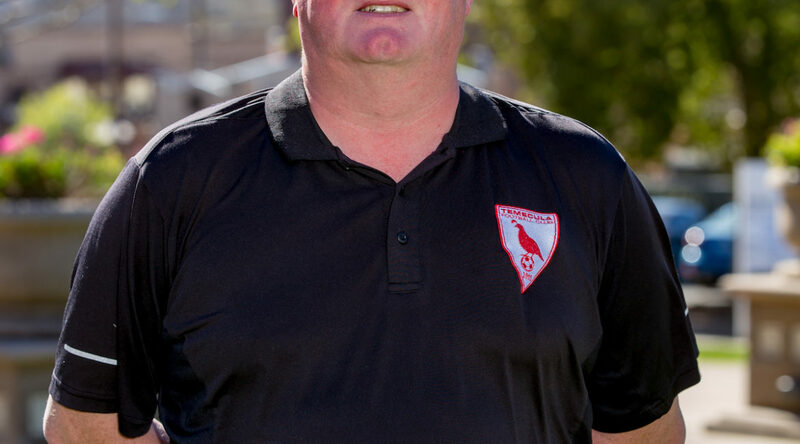 To Arizonas credit they handled the Temecula FC attacks time and time again very well. Brent Reis in the Temecula goal had little to do for most of the 2nd half but the traveling teams best chance saw Caesar Mexia put throw on goal but Brent came off his line early and Mexia shot just wide of the left post. Temecula remain fifth, just four points out of the playoff spot with just over half the season to go. Man Of The Match Nathan DaRosa. Forward scored his first goal of the season. FC Hasental, Santa Clarita Storm, Force FC, Del Rey City, and the San Diego Flash.